Music and dance have been cohesive expressions of African-American culture since the historical condition of slavery to modern-day genres of blues, ragtime and the fusion of a European musical framework . This development influenced more exceptional styles of African-American music in the 20th century in the forms of gospel, soul, hip-hop, funk, techno, house – and the evolution of jazz. Gospel artists, disco dancers, jazzy arrangements, and a variety of dance styles to rhythm & blues became the pulse of the weekly American musical show Soul Train we effortlessly embraced. Afro-chic and modish with hot pants, bell-bottomed trousers and trendy dances, this artistic and inspired variety show graced our hearts and our living rooms for more than 35 years. Diversely and distinctly, its imprint still leaves footprints on our souls. Soul Train became the sanctuary to our Saturday mornings at home with family and the dance guide for our next social gathering or enthusiastic anthem. The longest running Nationally Syndicated TV Program of any genre in the history of America, Soul Train showcased the brightest, the boldest, the most beautiful and the best. From Irene Cara to Culture Club, the Pointer Sisters to the Pussycat Dolls, Soul Train’s variety of music and fashion encouraged audience members to pay more attention to politics, pop culture and the passion of artistry. An inspired journalist by day – soul innovator by night – Don Cornelius (born Donald Cortez Cornelius) identified the need for a television venue in the United States that could creatively speak to the heart and soul of Black America. During the time of The Civil Rights Movement of the late 1960’s, no television show existed that highlighted the accomplishments of African-American music, its art, ingenuity and culture. In 1966, this native Chicago South Side pacesetter quit his job with the Chicago Police Department to pursue a three-month broadcasting course, with a wife, two children and only $400 in his bank account. In that same year, not by chance would this bold step later reposition him as a news reporter and disc jockey on Chicago Radio Station WVON. 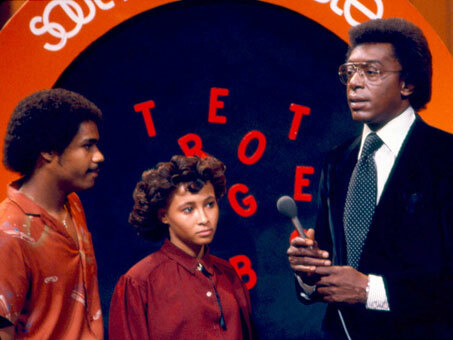 Set in motion, after pitching the idea of Soul Train to WCIU-TV in Chicago and agreeing to produce the pilot at his own expense, Don Cornelius launched the “dream” of Soul Train and it hit the airwaves as a daily local show. After receiving national recognition for its’ unique style and following, the show moved from Chicago to Los Angeles under national syndication. A smooth voice, grandiose style and an ambition to forever change main-stream television, Don Cornelius created, wrote, produced and hosted the most widely exposed popular television dance program in history. African-American musicians, singers, dancers, actors and activists such as James Brown, Michael Jackson, Aretha Franklin, Whitney Houston, Jody Watley, Jeffrey Daniel, Cicely Tyson, Isaac Hayes, Robert Townsend and Steve Harvey, to name a few, have all graced the platform of this culturally conscious Chicago-based sensation. 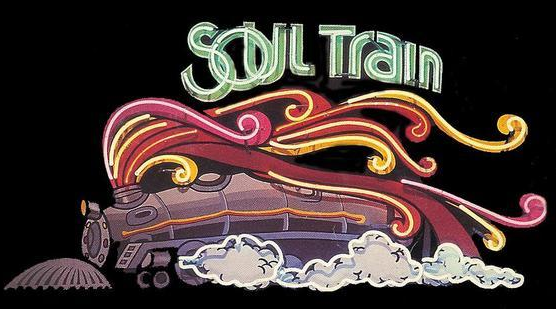 For more than 30 years and with the ingenuity of writers like King Curtis, the Soul Train Gang, The Waters, The Whispers, George Duke and Naughty by Nature, the original theme song of Soul Train continues to captivate our hearts and enchant our ears…as the train boogies along! Like the show it personifies, the train pressed forward from a local five-day-per-week, one-hour afternoon episode in 1970 to its first syndication on October 2, 1971. The success of the Soul Train Portfolio induced the development of the Soul Train Lady of Soul Awards Annual TV Special, which honors the achievements of female artists in music. The Soul Train Music Awards launched in 1987, which later afforded honorable recognition to top performances in R&B, Hip Hop, Gospel music and Jazz. To date, originator Don Cornelius holds a STAR on the Hollywood Walk of Fame. In 2005, he was inducted into the Broadcasting and Cable Hall Of Fame the Illinois Broadcasters Association Hall Of Fame [IBA] in 2012. His proof positive realization of what can be accomplished has earned countless prestigious awards in achievement and contribution to Black America in broadcasting, career production and television production. For more than three decades, an array of extraordinary guests boarded the soul of the train. Among the multitude were Jackie Wilson, Roy Ayers, Aaliyah, KRS-One, Kurtis Blow, The Dells, Jill Scott, Elton John, George Wallace, Duran Duran, Millie Jackson, Ziggy Marley, Van Hunt, Mary Mary, Jerry Butler, L.L. Cool J, Shelia E., Floetry, Al Green, Gregory Hines, Hall & Oates, Teena Marie, Nancy Wilson, Sting, Bill Withers, Patti LaBelle, T.I., Whodini, Lou Rawls, and Tina Turner. Departing us too soon on February 1, 2012, Don Cornelius’ passion for love, necessity for peace, and devotion to soul, music and culture will forever live on in our hearts. Through his legacy, he manifested what was once only an idea, a dream, into a brave reality and now historic narrative in radio and television. Love Peace and Soul for your Tuesday! Thank you for this piece. The Soul Train line has really been a part of my life. Don Cornelius is a true ICON! Indeed this individual has helped shape; further solidify and more over codify a growing art form in this generation. Forever beloved. Forever beloved! Thank you, Dr. Tre, for staying committed and connected to the soul of ‘Tuesday Morning Love’. It is icons/movers/shakers like you (and Don Cornelius) that make this world, our world, a more enlightened place to be. Thank YOU for your contributions to the world.